When it comes to Air Jordan retros, few are more sought after than classic 1 colorways. 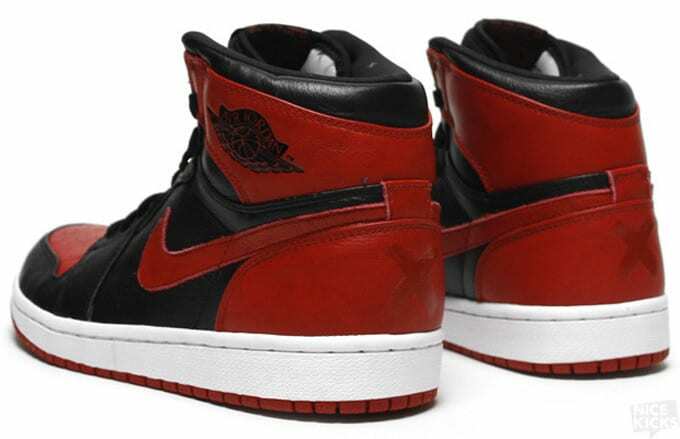 The original "Bred" colorway is often at the top of that list, and that sneaker became even more popular when Jordan Brand released a "Banned" edition in 2011. Now, with most 2015 sneaker releases behind us, we get word that 2016 will mark the return of the "Banned" Air Jordan 1. J23app shows this sneaker releasing on September 3, 2016, for $160. Reports earlier this year suggested that the Air Jordan 1 "Bred" colorway would get a "Remastered" release next year, and now it&apos;s looking like that&apos;ll be on "Banned" edition. Those who were lucky enough to cop in 2011 know that this was already a premium sneaker, so it will be interesting to see what Jordan Brand does to make it even better. With the upcoming year already packed with high profile releases, expect this drop to be one of the best of 2016.